A police chase that started in Cincinnati ended with a collision between a car driven by a 13-year old and a Campbell County Police cruiser yesterday at around 3:15 p.m., as first reported by Fort Thomas Matters. 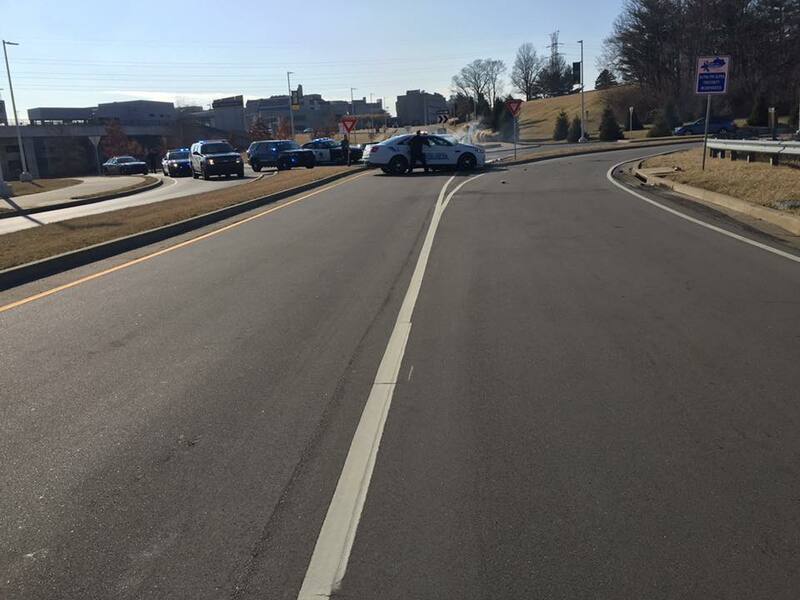 We now know a little more about what led up to the collision at the roundabout on Northern Kentucky University's campus. Police say the teen stole a car from an apartment complex earlier in the day. That's when Newport police saw the suspect as he was driving on I-471. Police tried to pull him over, but he led them on a chase on the highway and into Highland Heights. Multiple units were in pursuit as the teen reached speeds up to 80 miles per hour before finally crashing into the police cruiser. The officer in that car was hurt and both she and the thirteen-year old were taken to St. Elizabeth Hospital in Fort Thomas. Their injuries were not disclosed. "The Campbell County Police cruiser was in front of me and as the came down towards the roundabout they hit the cruiser directly in front of me.The police removed him and placed him on the ground. Others were checking on the officer that was hit. I was in shock that this happened in my town." "Let’s put it this way," he said. "If that officer in front of me, wasn’t there, the car would have rolled and hit me."